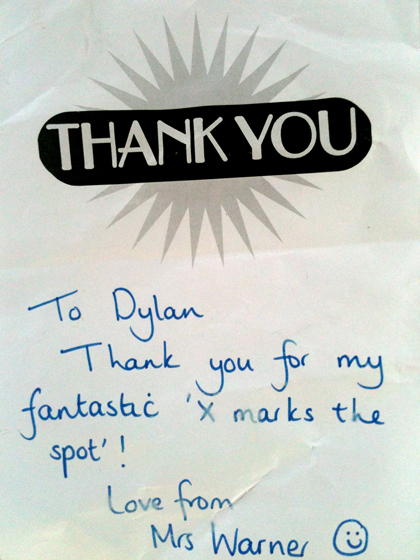 Note from one of Dylan’s Reception teachers for end of year/leaving gift. This entry was posted on Monday, August 27th, 2012 at 9:29 am and is filed under Uncategorized. Tagged: gift, leaving, note, Reception, teacher, thank you, year end. You can feed this entry. You can leave a response, or trackback from your own site.